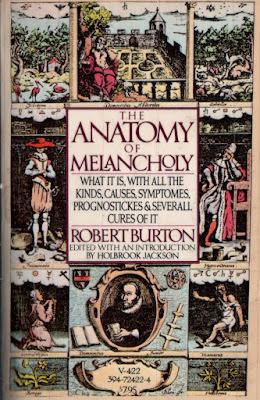 The Grub Street Lodger: Review: The Anatomy of Melancholy by Robert Burton - First Partition, 1621.
Review: The Anatomy of Melancholy by Robert Burton - First Partition, 1621. The main attraction I had to this book is that it was the one that Samuel Johnson said was the only only one that ever got him out of bed two hours before he intended. Although I never sacrificed hours of my sleep to this book, I did sacrifice a great deal of money. I saw it in a charity shop for five pounds at a time when five pounds was my entire food, entertainment and travel budget for the week. I remember that week, I had to beg for the bus fare home from a job interview. So, was it worth it? Yes. This is a truly and completely absorbingly fascinating book. It’s a sort of compendium of everything written about melancholy from ancient days to modern renaissance writers. 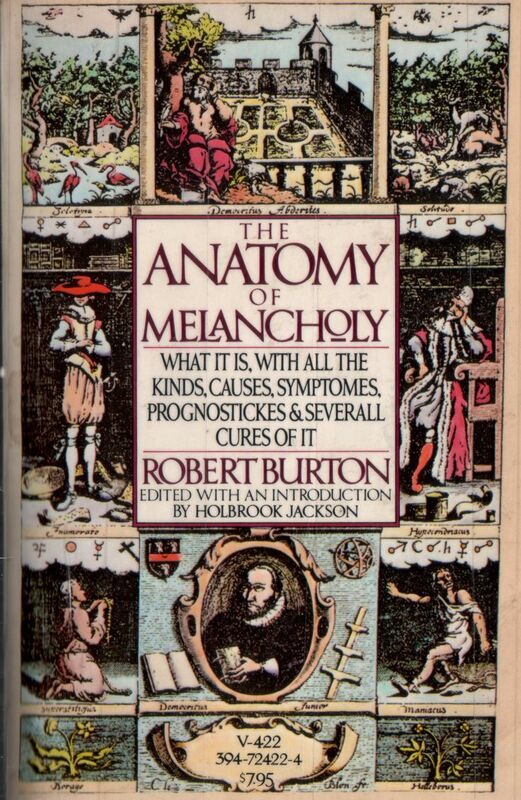 The works are read, summarised, compiled, digested and explained by Robert Burton, an Oxford scholar and sufferer of melancholy himself. Like the earlier Essais of Michel de Montaigne, also a product of a solitary and bookish kind of loneliness, this book is a huge, tangental and deeply human work, although the content of the book doesn’t come from Burton, the style and tone sing out, stamping his imprint all over it. Ironically, it’s his organisation that, in part, makes this book such a difficult book to navigate. Things that seem to naturally belong together to Burton, don’t to me, so you have to learn to trust him. If a reader wishes to find something specific, eyewatering diagrams of the layout are helpfully provided. 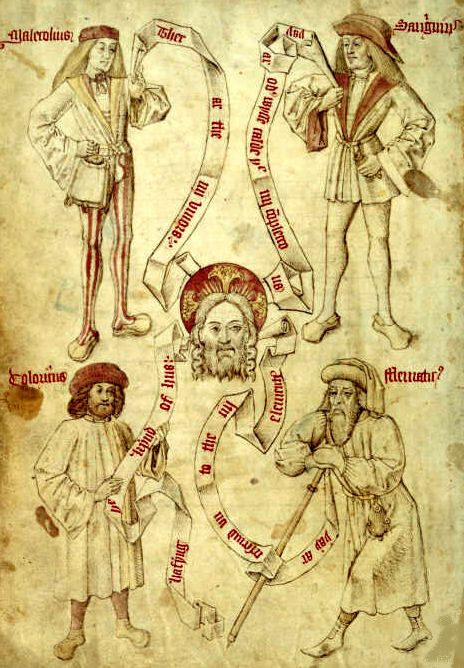 In general, the book is laid in four parts; the first is an introduction ‘Democritus to the Reader’ as well as an abstract and general description of melancholy. The second part is called the ‘First Partition’ and contains the medical background, causes of melancholy and the symptoms - it is these two parts that are being reviewed now. The next two partitions contain cures for melancholy and a special look at romantic and religious melancholy, these will be read and reviewed in time. It’s hard to summarise what I have learned from the book, as there is so much in it, but I’ll give a few interesting points. The first is that melancholy is not what we consider it today. Technically it is ‘black bile’, one of the humours and a natural part of the human body. The disease of melancholy is when this black bile is produced in excess but it reacts differently with different parts of the body, with the other humours in their own varying amounts and with the general quality of a person’s body (usually described in terms of heat/cold and dry/moist). This different reactions mean that melancholy can have many different effects. Some get sad, some fear pointless fears, some fight everyone, others talk to themselves - melancholia also has physical symptoms, haemorrhoids, flatulence, headaches, aches in general, tiredness - indeed, the holistic nature of the view of the interactions between body, soul and mind is the source of the interest of the book, and the difficulty of it. In reading this book, the reader is entering a completely different intellectual planet, in which mind/body dualism is an interesting idea only beginning to be thought about and expressed. One of the delights of the book is how so many of our beliefs of the body now would be nonsense then, and so many of beliefs of the body then would be nonsense now. In a discussion of the (ancient) trope of the melancholy wit, the laughing clown, we get the following explanation for laughter. I find this delightful because of this idea of the wholeness of the body - but also the attempts at rigour which now appear risible. However, the book is not just a relic, because it talks about issues that are still alive and thought provoking. The book (or at least the intro and first partition) touches on loads of subjects but is really all about the difficulty of being human; the fears and sadnesses we have, the sheer weight of responsibility and agency that comes with being alive (or worse, having those things repressed). At the end of the partition, there is a discussion of suicide, where Burton gives us many reasons for and against. It’s a really interesting discussion - written at a time when suicide is still officially a crime and is only one part of the book where the reader is encouraged to look at something from many angles. What lifts the book further, is that he not only gives the big issues but lots of funny little stories as well, such as women giving birth to rats and talking dogs and such. In terms of style, this book is painful to read. Burton swings from quote to story, lurching around like a mechanical bull - and lots of it is heavily larded up with Latin (which is mostly translated, thankfully). We will get a story about a man who is convinced he has frogs living inside him, to a village tormented by a teasing echo, to a man collapsing after a bite with a dead dog, to a Roman Emperor mourning for his son - nothing is off limits or taboo and very little is considered excess. Burton compiles lists that can go on for pages, he never uses one word when 40 will do (and 10 of them in Latin). It is not a tidy read or clean read or concise read. It is a bloated overelaborate mess. (For a delightful example of Burton’s style, listen to a part of the last partition from an audiobook where Burton is simply saying no more then ‘Love is Blind’. http://www.youtube.com/watch?v=WGJWREm5rhA ). Yes it is hard, it is over-thorough, pedantic, bookish to a fault, overinflated, over-egged, overkill, too much, excessive, like a balloon pumped too far - but it is delightful in its baroque elaborateness, often very funny and these lists help the book power along at a speed. I have recently heard the phrase ‘Victory Read’, a book you read to feel the pleasure of conquering it like a mountain. There will be an element of the victory read when I have finished the entire thing, it is a difficult read, and much of the pleasure is hard won but at the same time it is a fascinating read, offering glimpses at a time where the entire view of a person’s relationship with their body and around them is conceived differently. It is helpful we are led there through the amusingly OTT authorial voice of Robert Burton. Sometimes excess is it’s own reward. The third partition was the most entertaining. Burton is very funny talking about love, he is obviously a man of affections and humour and it shines through very well. He is also rather tolerant to women - so many of his sources are anti-woman and he merely laughs at them and says that everything said about women could easily be applied to men. 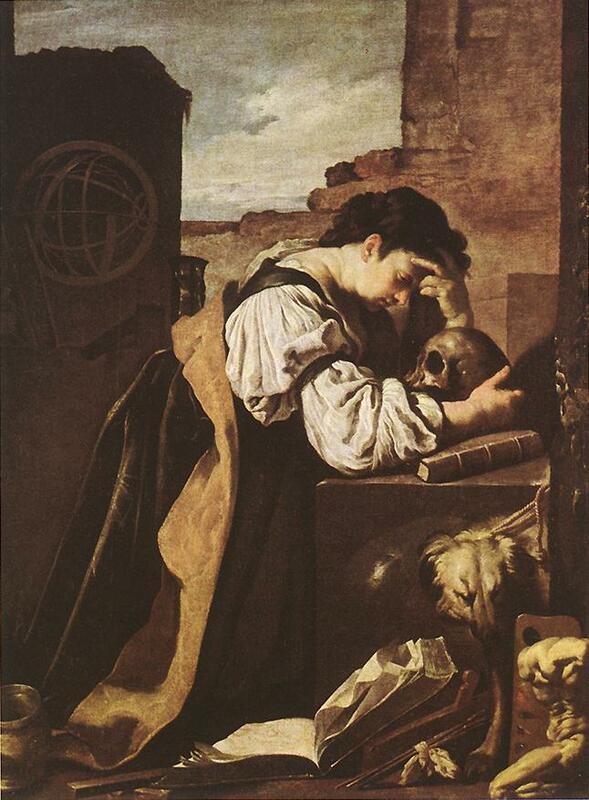 The religious melancholy bit was very interesting, especially as it revealed 17th century views on Islam and atheism. The very last bit on despair dragged though - too Bible heavy for me and even more repetitive than usual. Today I will give Burton the last word, the last sentence from the first partition and good advice to us all.